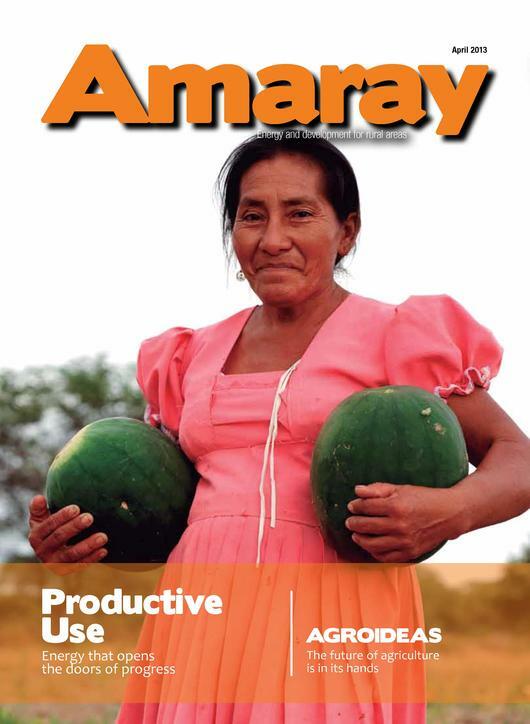 Third edition of Amaray, magazine developed by the GIZ Energising Development Project in Peru (EnDev Peru). This publication is focused on the productive use of energy and presents several articles regarding AGROIDEAS, a star program of Peruvian Department of Agriculture, which seeks to promote the modernization of the agricultural process in Peru. This page was last modified on 12 June 2014, at 14:10. This page has been accessed 6,189 times.